About Us – The Reel Dr – Your Western Canada Warranty Center and Parts Supplier! If coming from the old location simply follow 51 ave (Roper road) to 50th st, turn SOUTH on 50th and turn west / right at the first set of lights and follow the road around the curve to the big pink building. 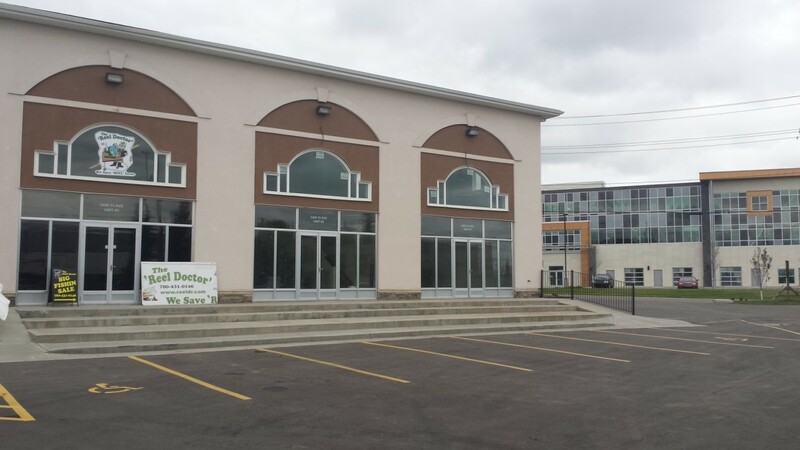 If coming off the whitemud, turn NORTH on 50th street and then go west / left at the first lights and follow the road around the curve to the big pink building. the area. 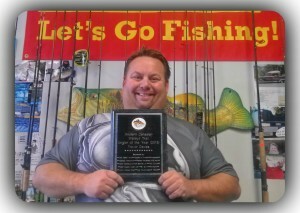 It has grown to include rod repair as well as becoming a warranty center for Minn Kota, Scotty, Zebco, Quantum, Pure Fishing (including Mitchell, Abu Garcia, Johnson…etc), and Aqua Vu underwater cameras. 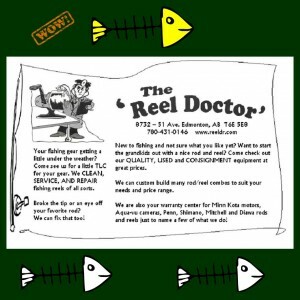 The Reel Doctor also offers reel repairs and parts for Shimano and Penn fishing reels. Our emphasis is on customer service with a quick turn around time! If you are in need of a part, please check out our new ‘Parts Catalog‘ section. It includes thousands of fishing reel parts, reels and accessories right at your finger tips! 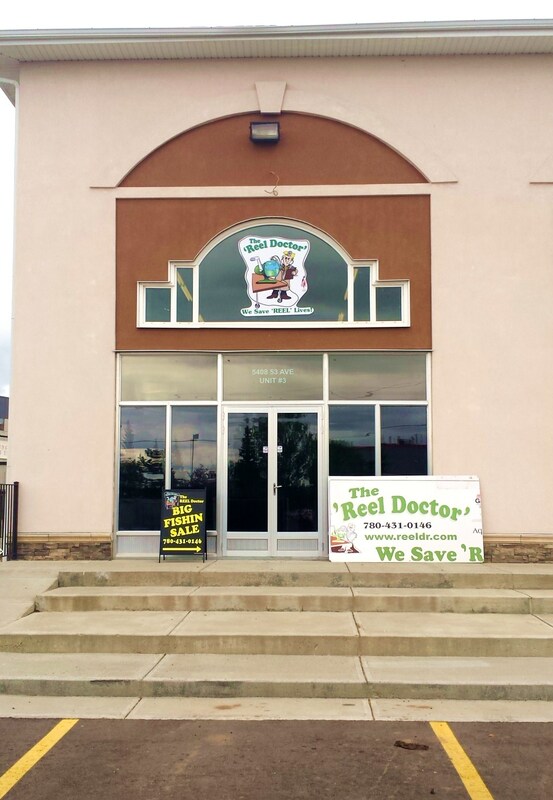 The Reel Doctor is owned and operated by Trevor Davies since 2007. 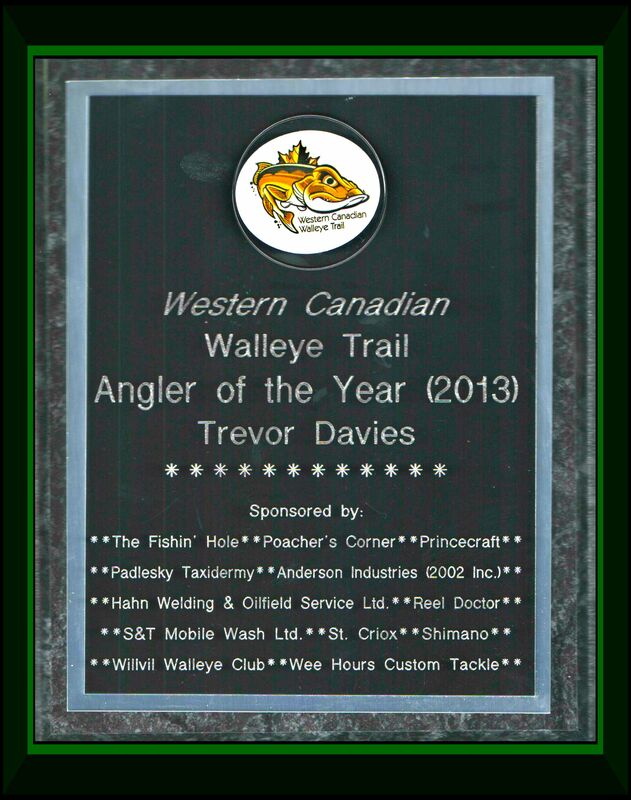 Trevor is an avid fisherman who spend any spare minute on the lake and loves to share his knowledge and experience with his customers and friends. 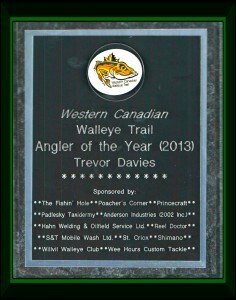 Walleye Trail Angler of the Year 2013, 2014 and 2015! !